One of Nat "King" Cole's crowning achievements and a fittingly lavish celebration of a cultural and musical icon, The Nat "King" Cole Story offers a glorious overview of the career of one of the greatest and most beloved performers in popular music history. 38 tracks, many re-recorded in stereo for this anthology, offer a selection spanning his popular career. A talent and voice for all times with a body of work that could and did help define their eras, Nat "King" Cole's career offers some of the finest, most enduring and treasured recordings ever made. Nat "King" Cole could never be fully served by any one set. But this wonderful cornucopia stands as a fantastic celebration for the enthusiast and a good starting point for someone just beginning to explore The Nat "King" Cole Story. Using the original first generation 2-track and 3-track session tapes from Capitol's vaults and all-analogue systems including custom headstacks, 3-track preview heads, console and monitoring chain installed at AcousTech specially for these releases, mastering engineers Kevin Gray and Steve Hoffman realize the stunning beauty of these recordings in this 45-RPM 180-gram five album set. There are 38 songs in this collection. 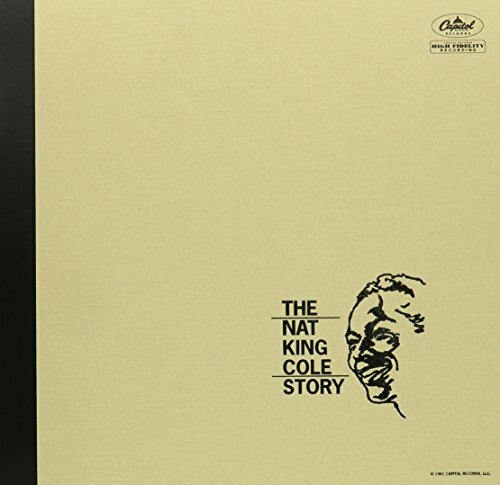 Of those, three are the same recordings included on other Analogue Productions Nat "King" Cole reissues. "Stardust" (track 28) is the same version included on Love Is The Thing. "St. Louis Blues" (track 30) is the same version included on the album of that title. And "Paradise" (track 33) is the same version included on The Very Thought Of You. Three more songs - "Sweet Lorraine," "It's Only A Paper Moon" and "(Get Your Kicks On) Route 66" - are songs that appear on After Midnight, however these versions are stereo re-recordings of the original arrangements from the 1940s. If you have any questions about this product by Analogue Productions, contact us by completing and submitting the form below. If you are looking for a specif part number, please include it with your message.